12 photos of a chapel made on Orkney during the Second World War by Italian prisoners of war. Churchill barrier No 1, Orkney, 26 May 2015. Looking north west from near the Italian chapel on the island of Lamb Holm (foreground) towards the Orkney mainland. The Scapa Flow anchorage is just visible in the distance at far left, beyond Howequay Head. The stretch of water between Lamb Holm and the mainland is Kirk Sound. Early on 14 October 1939 U-47, commanded by Kapitanleutnant Gunther Prien, evaded blockships that had been sunk in the sound and entered Scapa Flow while surfaced. He torpedoed and sank the battleship HMS Royal Oak with the loss of 833 men before making his way back past the blockships into the North Sea. His was not the first U-boat to attempt to enter Scapa flow. There had been two attempts during the First World War; both U-boats were detected and destroyed. 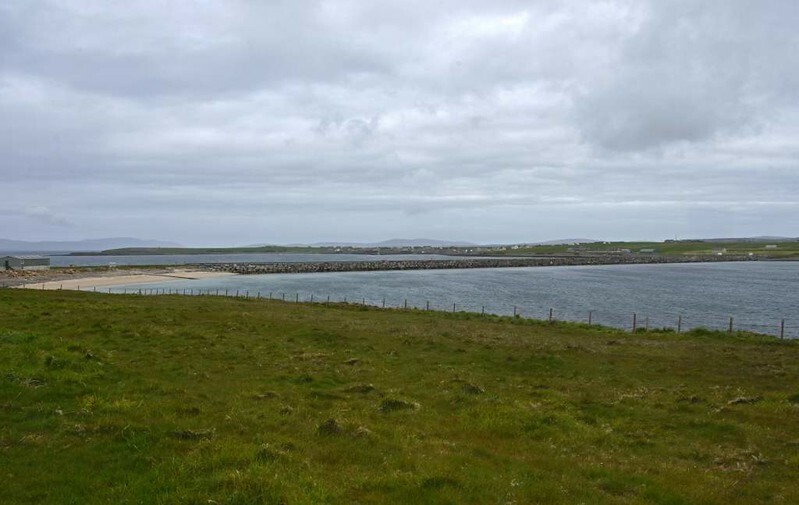 The loss of Royal Oak in a supposedly secure anchorage was a tremendous shock, and Churchill ordered the construction of four barriers between islands on the eastern side of Scapa Flow to prevent a repetition.